Preheat oven to 400°. Coat 12 cup muffin pan with nonstick spray. In large bowl, stirring by hand, combine banana, eggs, buttermilk, applesauce, vanilla, brown sugar, and All-Bran cereal. Let sit 5-10 minutes. Combine flour, baking powder, baking soda, cinnamon, nutmeg, and salt; add to banana mixture. Stir just until all is combined. Stir in chocolate chips, pecans, and walnuts. Scoop mixture into prepared muffin cups, they will be full. Sprinkle some mini chocolate chips and nut pieces on top if desired. Bake 20-22 minutes. We love a good muffin, don’t we? But, I am big on counting calories, and a muffin can be loaded with calories. With this recipe, the goal was healthy, good taste, fiber, and low calorie. I think is hits the mark, it can be a good start for your morning or a great snack. Don’t expect a lot of sweet, there is no sugar added. The flavor comes from the hardiness of bran, a hint of molasses, cinnamon, and little bit of chocolate here and there. One muffin has 145 calories, 5g fiber, 2.6g fat, 30.7g carbs. Preheat oven to 350°. Spray 6 muffin cups or add papers. Stir together All-Bran, milk, applesauce, egg, molasses, and vanilla. Let sit 5 minutes for the bran to softened. Stir together flour, baking powder, cinnamon, and salt. Add dry ingredients to bran mixture and stir just until combined. Stir in mini chocolate chips. Scoop batter evenly into the 6 muffin cups. Bake 20-22 minutes. *Use 4 Tbl mini chocolate chips for a little more chocolate in your muffins, this increases the calories per muffin to 170. Still good on calories, and more chocolate! 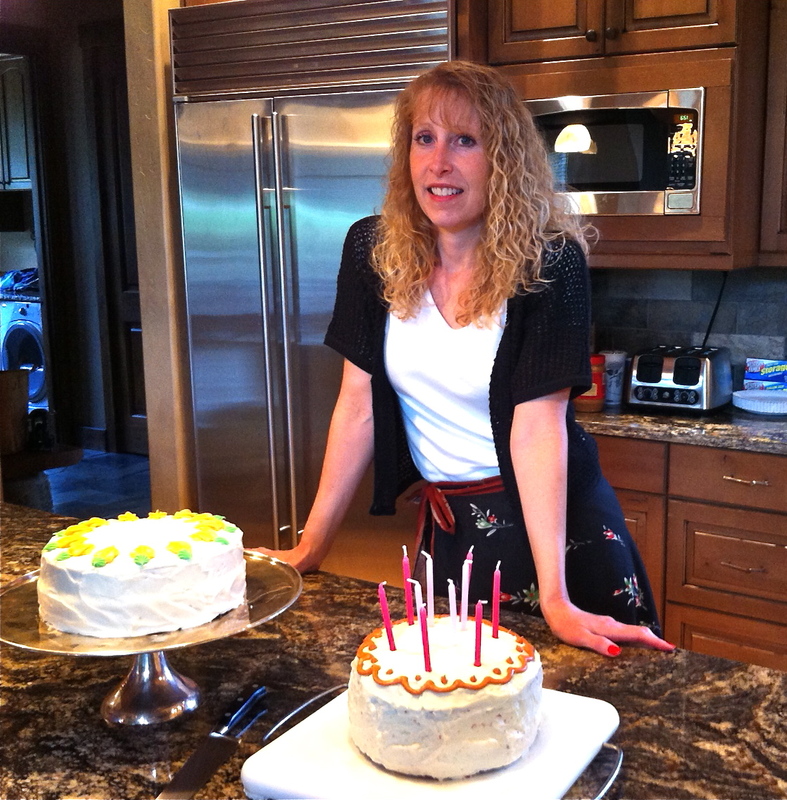 I celebrated my birthday…a big birthday…50! My mom made her Red Velvet Cake, a tradition. 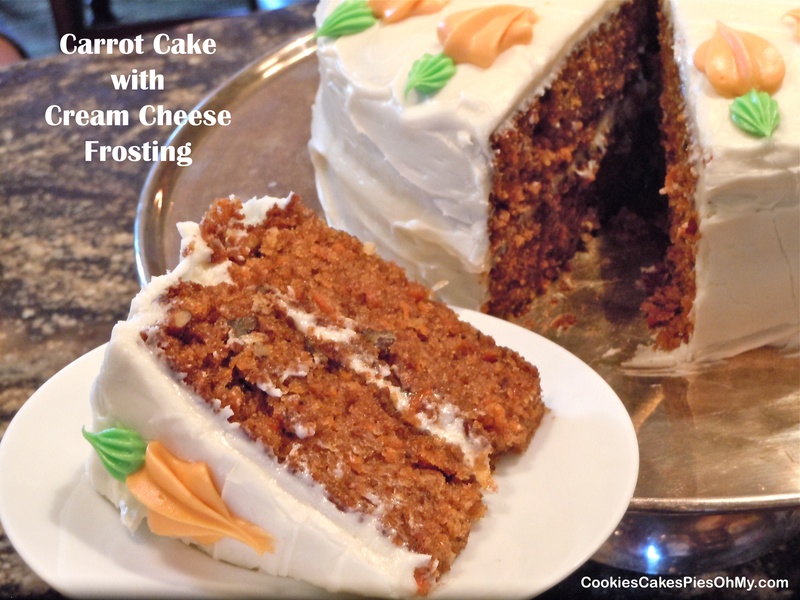 This carrot cake recipe is the cake my daughter made for me, yes, two cakes! I am feeling so grateful for an amazing family and all the fun times we have together. Also grateful my daughter and my mother have such incredible baking abilities, I had a piece of each cake, so good! Here’s to another 50! Preheat oven to 350°. Combine sugar and oil. Add eggs and mix well. Sift flour, wheat flour, soda, salt, and cinnamon. Add to sugar mixture. Add vanilla and grated carrot. Fold in pecans, applesauce, and coconut. Spray and flour two 8″ or 9″ round cake pans. Pour cake batter into cake pans, dividing evenly. Bake 45 minutes or until pick inserted in center comes out clean. with electric mixer, whip together butter and cream cheese. Add powdered sugar and vanilla. Frost completely cooled cake. A great recipe from a book called Worldwide Ward Cookbook. Let’s switch things up and go for something low fat, low sugar, and low calorie…but tastes very good! This is my version of a recipe I found on a few different websites (weightwatchers.com too) saying it is a knock off of a muffin at Whole Foods. I made them with low expectations but they are really good! They are not the prettiest looking muffins, but when you consider the calorie savings, who cares. Preheat oven to 350°. Spray 12 cup muffins pan with non-stick spray or use Demarle muffin tray (no spray needed). Process oats in food processor or blender until oats are well ground. In large bowl, mix oats, cocoa, sugar substitute, baking powder, baking soda, cream of tartar, and salt. In medium bowl, whisk together egg whites, applesauce, sour cream, vanilla, and hot water. Add to dry ingredients and mix well. Stir in chocolate chips. Evenly scoop batter into muffin cups. Bake for 10 minutes, remove from oven (leave oven on) and sprinkle with chopped walnuts and mini chocolate chips and return to oven and bake another 3-5 minutes until center top of muffins are done. Cool in tray for about 10 minutes then continue cooling on wire rack. Sometimes I get into a funk and make something over and over again trying to perfect it. When I say perfect it, that is, make it exactly to my liking…and my family’s. After all, baking is a work of art and each masterpiece’s beauty or taste is in the mouth of the beholder, or something like that. 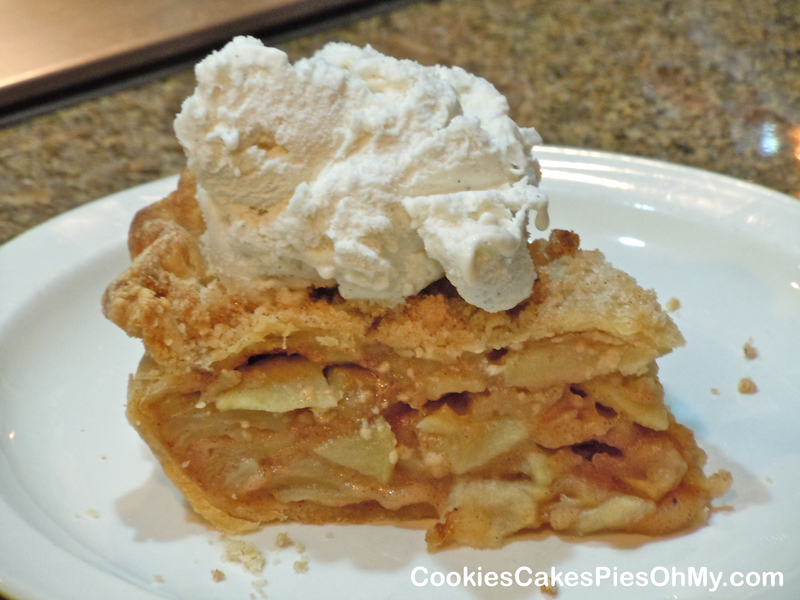 So, for quite some time a few years ago, I was on a quest for the “perfect” apple pie. 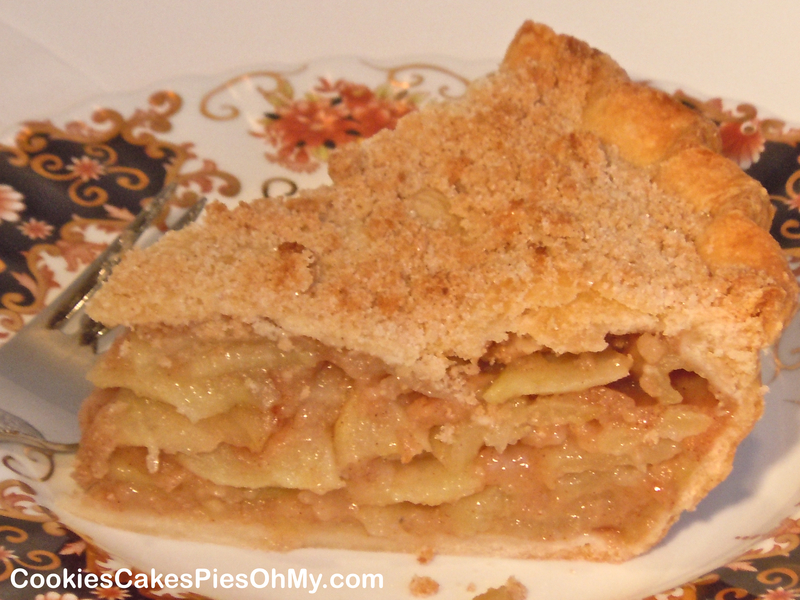 I made so many apple pies, I wasn’t sure if my family would ever again want to eat pie. Pie would sit in the refrigerator and I would have to throw it out (they tell me it was them being tired of it, and not that it was awful???). This recipe is a compilation of many recipes, then pinched, pulled, twisted, and tweaked and then tweaked again. And, well, I love it, and my family eats it, and enjoys it! Preheat oven to 425°. Line 9″ deep dish pie plate with bottom crust. In small bowl mix sugar, flour, cinnamon, salt, and nutmeg. In large bowl, combine prepared apples, applesauce, and lemon juice. Gently stir in dry ingredients until well mixed. Spoon apple filling into crust lined pie plate. Dot with pieces of butter. Cover pie with top crust and crimp edges. Mix topping ingredients, flour, sugar, cinnamon, nutmeg, salt, and softened butter until crumbly. 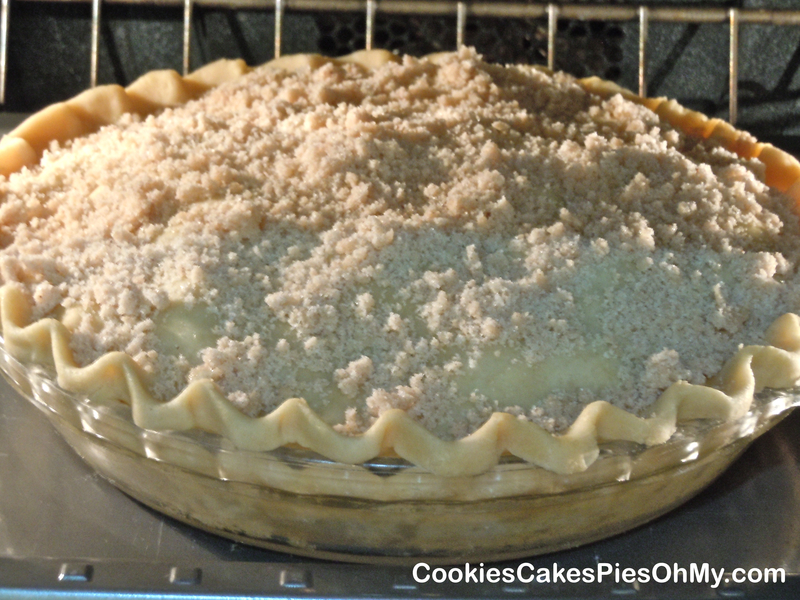 Sprinkle evenly over top crust and make a few vents with knife to allow steam to vent. Bake for 10 minutes, then turn heat down to 350° and bake for about 45-55 minutes more. Cover with foil if starts to get too brown. Hint: The best way I have found to get a nice clean slice, is to make pie early enough so it can cool and set up (refrigerate if necessary). Then, if you want to eat warm pie, cut a nice clean piece, heat in microwave just to warm and serve. If you serve a fruit pie right from the oven, delicious but most of the time doesn’t hold its shape. I had to add this picture, this is how my husband dishes up his pie. Happy man. I have had a donut pan for years and never used it, it is time. This recipe comes from Shurgary Sweets, it is a much healthier donut, wait, can those two words can be used together? Who can resist a donut with glaze and cinnamon sugar. If you don’t have a donut pan, use a muffin pan or mini muffin pan, they don’t have to have a hole in the middle! Preheat oven to 325°. In large bowl add flour, sugar, baking powder, baking soda, salt, nutmeg, allspice, and cinnamon. Mix until blended. Add apple cider, applesauce, eggs, and vanilla. Beat for about 2 minutes until smooth and creamy. Spray donut pan with non-stick spray. Pour 1/4 cup batter into each donut slot in pan. Bake for about 10 minutes, until donuts spring back when touched. Cool slightly before removing from pan. 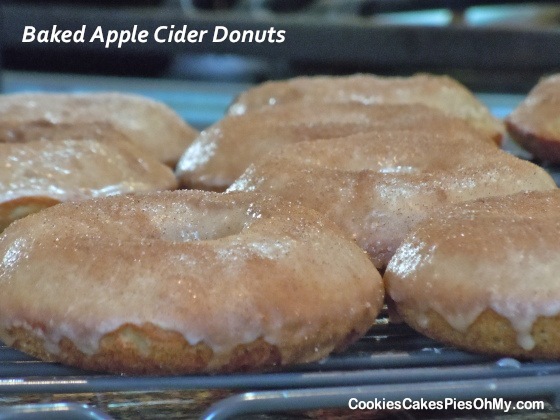 For glaze, whisk together apple cider, powdered sugar and allspice until completely smooth. In separate bowl mix sugar and cinnamon. Dip each donut into glaze (top of donut only) and then into cinnamon/sugar mix (can dip or sprinkle cinnamon sugar over glaze). The glaze will run down the sides and coat nearly the whole donut. Allow to dry on a cooling rack. Enjoy! 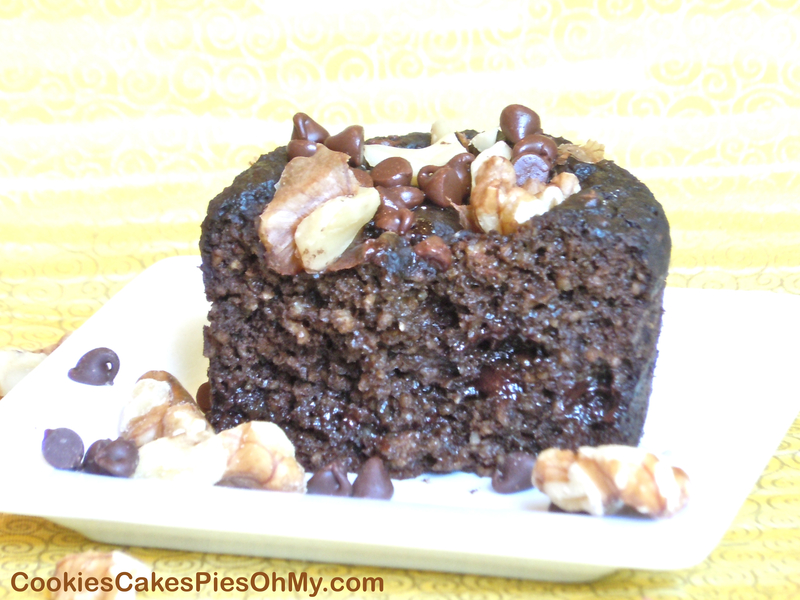 If you want a moist, large sheet cake to feed a lot of people and to pretend that it is good for you because it has applesauce and oats in it, this is the cake! Preheat oven to 350°. Cream butter and sugar. Add eggs and blend well. Add flour, oats, cinnamon, nutmeg, cloves, and salt. Mix just enough to blend in dry ingredients. Fold in applesauce with baking soda, sour cream, mini chocolate chips, and nuts. 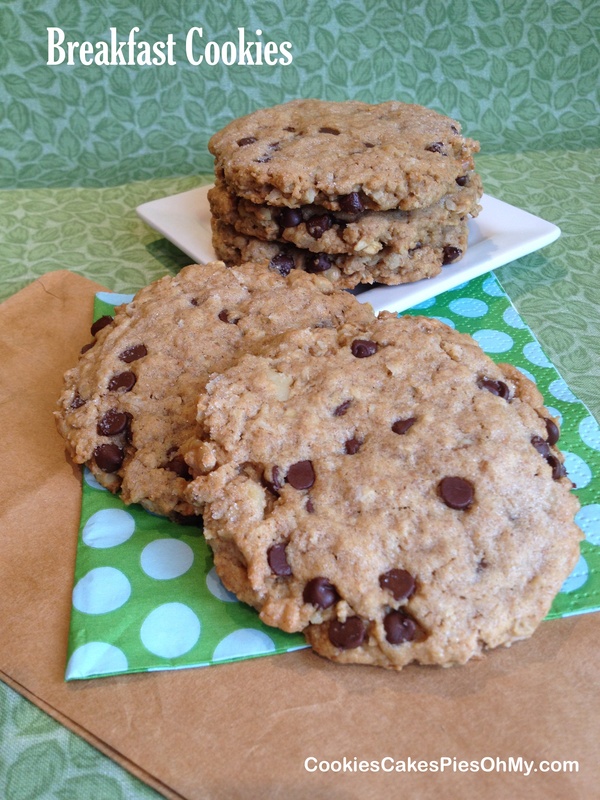 Spread in a large greased cookie sheet and bake for 23-25 minutes. Cool completely. In saucepan bring sugar, milk, and butter to a boil and boil only for 1/2 minute. Remove from heat and add chocolate chips. Stir until chips are melted. Add cinnamon and vanilla. Mix. 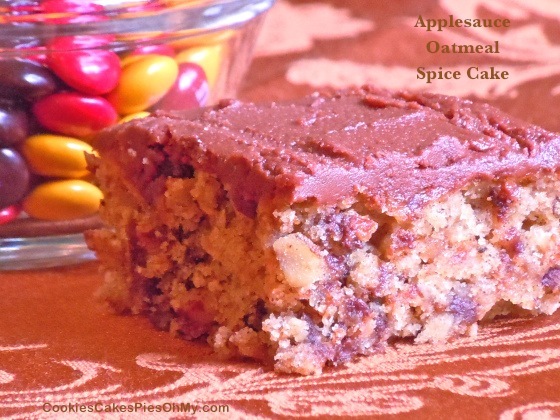 Pour and spread over cooled Applesauce Oatmeal Spice Cake.